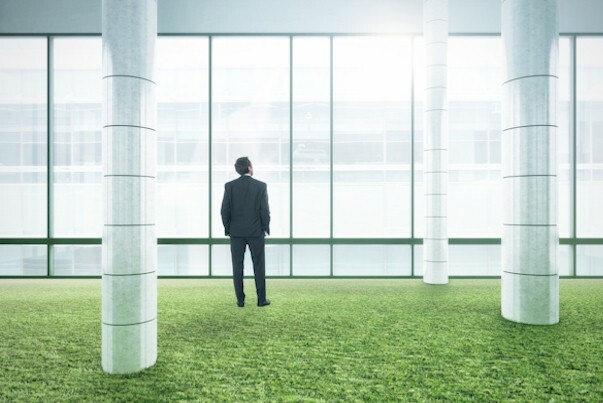 Green building efforts in the hospitality industry have almost doubled since 2011 with 48% of new construction projects expected to benefit from sustainable building practices in 2013, according to a recent study, the Green Retail and Hospitality SmartMarket Report, conducted by McGraw Hill Construction. Compared to other building types, hotels have historically been major energy users. Hotels' large carbon footprints have been, in part, due to their extended hours of operation including the need to keep lights burning in public spaces and corridors day and night. Hotels also generate a lot of waste that ultimately translates to energy usage. Attracted by significant decreases in operating costs and energy consumption, investments in green technology, while sometimes costly, ultimately pay off with an increase in return on investment, which results in an increase in asset value. Seventy percent of hotel guests appreciate staying in hotels that have environmentally responsible features and programs, according to the study. We contacted three hotel stakeholders across the country-the owner of an urban resort, the managing director of a major downtown convention hotel and the senior vice president of a specialty select brand focused on sustainability-and asked each to discuss the benefits of his hotel's LEED certification. The LEED Gold certified Shore Hotel was designed to permit natural lighting to penetrate the rooms and lobby as much as possible. A Green Concierge at the hotel helps explain the many eco-friendly features throughout the property and suggests nearby sustainable attractions. 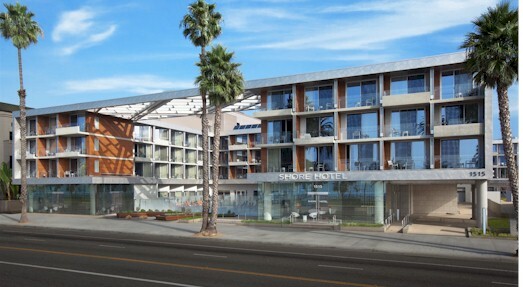 The Shore Hotel, a 164-key eco-urban resort in Santa Monica, California, is located on Ocean Avenue, near the Santa Monica Pier. Designed by Gensler Architects, the contemporary hotel's unique configuration includes a four-story U-shaped building surrounding a pool and a patio shaded by an overhead steel-trussed trellis. An L-shaped guest room section in the rear is connected by a three-level sky bridge. Each guest room includes a private balcony facing the ocean. The hotel, owned by the Farzam Family, has consistently been ranked the No. 1 hotel in Santa Monica by TripAdvisor and it was the first newly built hotel property in Santa Monica to be LEED Gold certified. To make room for the hotel on the site, the Farzams demolished two existing hotels they owned, the Pacific Sands and Travelodge. Dedicated to protecting the environment, the family recycled construction waste material in building the new hotel. We spoke with Steve Farzam, owner and chief operating officer of the Shore Hotel, about the project's sustainable features and the benefits of its LEED certification. What made you decide to pursue LEED certification for your new hotel?